Course Reserves is a service that allows instructors to make books, articles, and other course materials available to their students through Print Reserve and E-Reserves. Print Reserve: physical books, DVDs, etc. pulled from the library's collection for a specific course. These items are given a limited checkout period to increase access to students. E-Reserves: an online application that makes electronic books, articles, etc. accessible to students through a centralized course page. Where Can I Find Course Reserves Items? 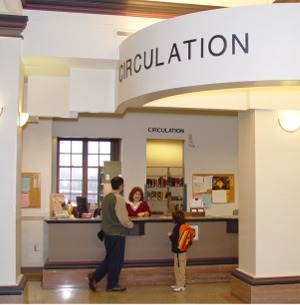 Print Reserve materials check out at the Circulation Desk at Ellis Library and each of the branch libraries. E-Reserve materials are available through the library website by searching the E-Reserves Course List or under the Library Resources Tool in Canvas. Please visit our Student Guide or Faculty Guide for a detailed guide on using Course Reserves.